Maybe you have been on the fence about joining a coworking space for a while. Or maybe you’ve never heard of a coworking space before and are wondering how it works. Look no further, I’m here to tell you why coworking works for you and your business. Freelancers, remote employees, and self-employed entrepreneurs often have one thing in common: they work alone. And while it can be nice to work from your couch in your pajamas once and a while, if you do it too long, you could go stir crazy. Coworking fights back against burnout and isolation by building community between the members. The members of a coworking community serve as a second family focused on your business. They’re the folks you chat with about the Big Game, and the ones who are there to support you when times get tough. They can be collaborators, referral sources, and friends. By connecting into a coworking community, you know you are never alone. There are people around you that will build you up and will help you get over that next business hurdle. Read More: What is Community? When you work from home or the nearest coffee shop, your productivity can suffer. Everything from the family dog to the espresso machine can distract you and send you off-course. When work and home are all in one location, you can all-too-easily lose that sense of urgency that pushes you to complete your projects on time, and on budget. Maybe you’ve noticed that deadlines are motivating. The more you have to get done in a set amount of time, the more you get done during that time. When you can’t just “come back later”, you are more likely to put your head down and get to work. Signing up for a coworking membership can provide you with that important separation between work and home that will motivate you to get work done. Even when you live just around the corner, the feeling of “clocking out” at the end of the day will push you to increase your productivity and do more with the time you have. There’s a reason why even some of the biggest companies are turning to coworking for their employees. It makes good financial sense. Using a coworking space just when you need it can reduce your overhead costs and still give you the professional feel your customers expect. The problem of the underused conference room was one of the motivating factors for starting the PatchWork Collective. When founders Lisa Schmidt and Ben Long realized their law firm’s conference room sat empty most of the time, we knew we could make better use of our space. Coworking offers the flexibility to use the facilities you need, when you need them, without paying for underused conference rooms or office space you don’t need. Coworking isn’t just about business. A coworking facility provides a hub for neighbors and friends to come together around common interests or local issues. 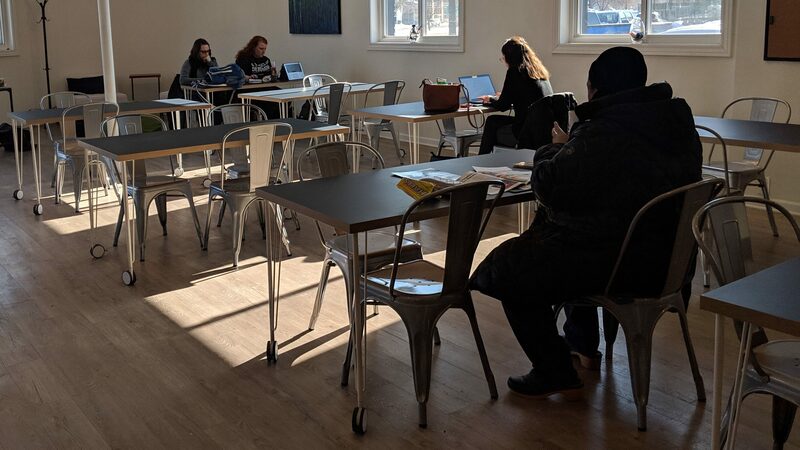 City governments, local clubs, non-profits, and even meet-up groups can make the most of a coworking space’s facilities to host their events and bring neighbors together. For PatchWork Collective, community, productivity, business, and neighborhood development are all part of our mission. We are a coworking space with the heart of Ferndale. Everything we do is designed to build up our members, and our neighbors, so that they can be more productive and profitable tan any of us could be alone. Want to find out more about the PatchWork Collective? Create a free Community Member account to receive updates about the space and learn more about why coworking works for you and your business. 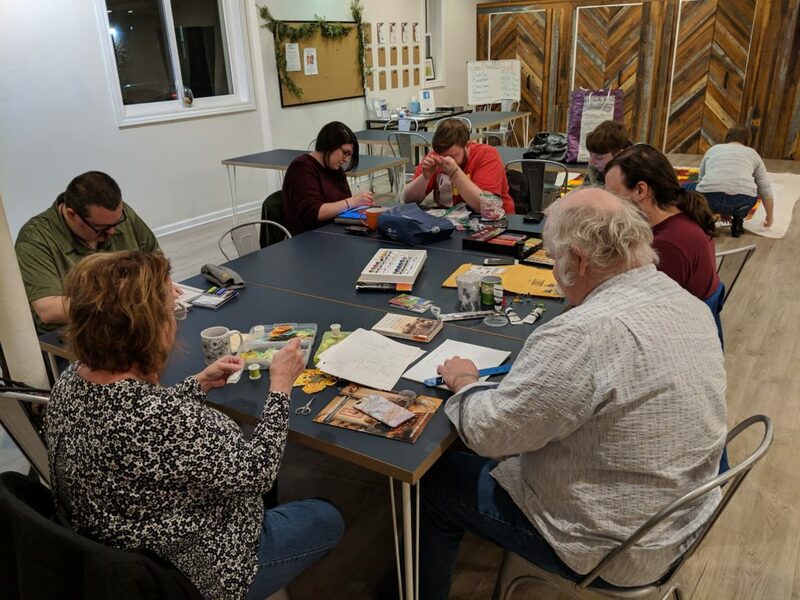 Posted on February 4, 2019February 4, 2019	/ 0	/ Tags	benefits of coworking, coworking, PatchWork Collective, why coworking	Categories	Why Coworking?